Jay Stokes set to fly 2100 feet in the air before he jumps out to beat his skydiving world record. On September 8, 2006, Jay Stokes was the passenger of an airplane, but he was not seated in comfort. Instead, he was held next to the open door by a volunteer, breathing fumes as the aircraft steeply rose to 2100 feet. Then, equipped with a special skydiving rig designed for speed, he jumped. Jay Stokes accomplished this trip 640 times that day when he broke the world record for most jumps in a day for his fifth time. Stokes began a grueling physical regimen of bicycling and weight training long before the jump, but he said honing his mental determination was most vital to breaking the record. His first record-breaking jumps in 1995 were the beginning steps to gaining the confidence and mental concentration he needed to almost double his record 11 years later from 331 to 640. Stokes takes a genuine interest in people and has a friendly manner about him that earns him many friends as he teaches and works alongside others in the skydiving industry. These allies became part of a volunteer force of 125 people that was instrumental in breaking the world record as well. With their help, Stokes was able to complete a jump every two minutes and 15 seconds that day in September. Stokes used quick ejector hardware that permitted him to loosen his chest strap swiftly as he spiraled down through the air, then two volunteers grabbed his harness as he landed, allowing him to spend only eight seconds on the ground equipping new gear. Stokes began his skydiving career in Fort Brag, NC soon after he joined the Army, though at first Stokes said he didn’t realize jumping would play such a large role in his life. The first time Stokes broke the world record was nearly 21 years later as a Green Beret teaching safety at the Military Freefall School. He was again stationed at Fort Bragg, but would soon move with the school to Yuma Proving Ground in Arizona. That record was broken late that year by Cheryl Stearns, who still holds the women’s record for most jumps in a 24-hour period. After that, Stokes broke the record twice more, once in 1997 with 384 jumps and once in 1999 with 476. With the help of 120 volunteers, Stokes broke the record again in 2003 with 534 jumps. Although it was a massive achievement, Stokes was still ambitious and passionate about his sport and wished to continue breaking the records he had set. 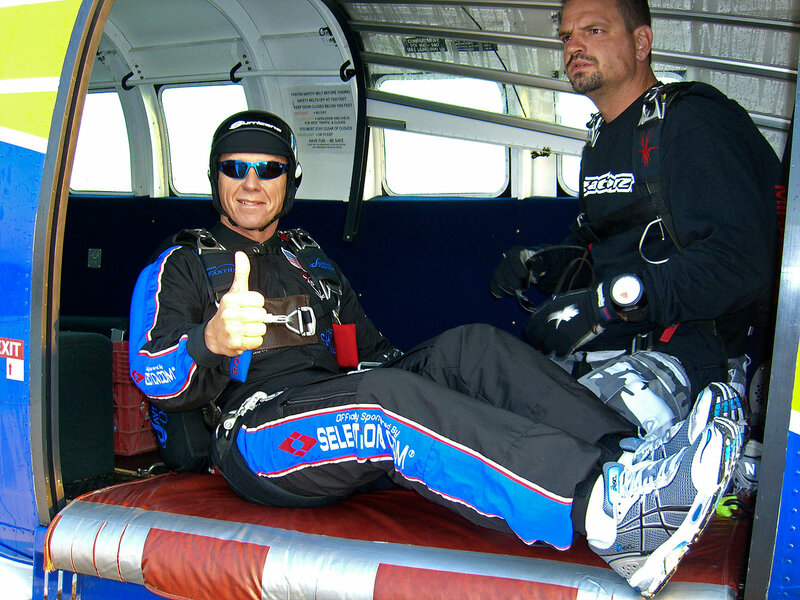 Stokes surpassed his goal and hit 640 jumps instead, which remains the record to this day. Stokes made one more attempt in 2014, but was shut down due to the weather. Although the record attempt was unsuccessful, many pledges and donations were still contributed to charity. Stokes said he donated the money from 2006 to two of his favorite charities, the Special Olympics and the Special Operations Warrior Foundation. When he is not jumping out of airplanes and breaking world records, Stokes operates in his capacity as President of the United States Parachute Association, which controls skydiving safety regulations and now has more than 38,000 members. He is also the chief trainer at Certification Unlimited and is subcontracted by Tactical Air Support to train Navy members in static line and military freefall, which Stokes said is more involved. “In the military, ultimately we’re trying to get them to a point where they jump with combat equipment, oxygen, high altitude, so they’re going in for a military mission environment, where in skydiving we’re just jumping out of planes and having fun,” Stokes said. Stokes has done 24,500 jumps so far and still averages approximately 800 jumps per year, and he hopes to continue skydiving even into his eighties. He said part of his love for skydiving comes from working with people and empowering them to learn and grow, but nothing can beat the excitement of the jump. I have a Bachelor’s degree in journalism, and I worked for four years at Auburn University at the camps newspaper. After school, I joined the Navy as an officer. I recently separated from the Navy and now work as a freelancer while going to school.